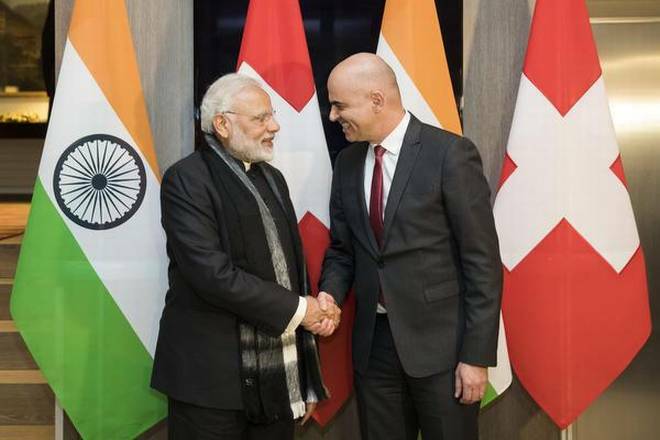 Prime Minister Narendra Modi met Swiss President Alain Berset on Tuesday to discuss the bilateral relation of both countries. Modi’s program is also to make a bilateral meeting with Swedish Prime Minister Stefan Lofven. Earlier in a tweet, the Foreign Ministry spokesman said that Prime Minister has reached Zurich in order to move to Davos to make his presence at World Economic Forum. This is the first visit of an Indian Prime Minister to Davos in 20 years. Prime Minister Narendra Modi will give a keynote speech in the full session of the World Economic Forum, address the International Business Council and meet the Chief Executive Officer (CEO). Modi will interact with members of the global business community tomorrow, Apart from this he will also deliver his speeches. The topic of this year’s conference is ‘Creating a Shared Future in a Fractured World’. Before leaving the country yesterday, Modi had said that relations between India and other countries have expanded in recent years. The relationship of the country with the world has really been multi-dimensional, including political, economic, people, and security between people and other dimensions. In the 48th annual meeting of the World Economic Forum, more than 3,000 leaders from across the world will participate in business, politics, art, academic and civil society. In this, more than 130 people from India will participate. Narendra Modi is the first Indian Prime Minister to join the Davos meeting in last 20 years after the visit of H. D. Deve Gowda in 1997.